Celebrate the years of hard work and focus with our College Acceptance Student Desk Ornament! This spirited ornament features a red desk with computer, mug, books, and cell phone along with a cork board and pennant. Have one of our talented artists customize this ornament at no additional charge. 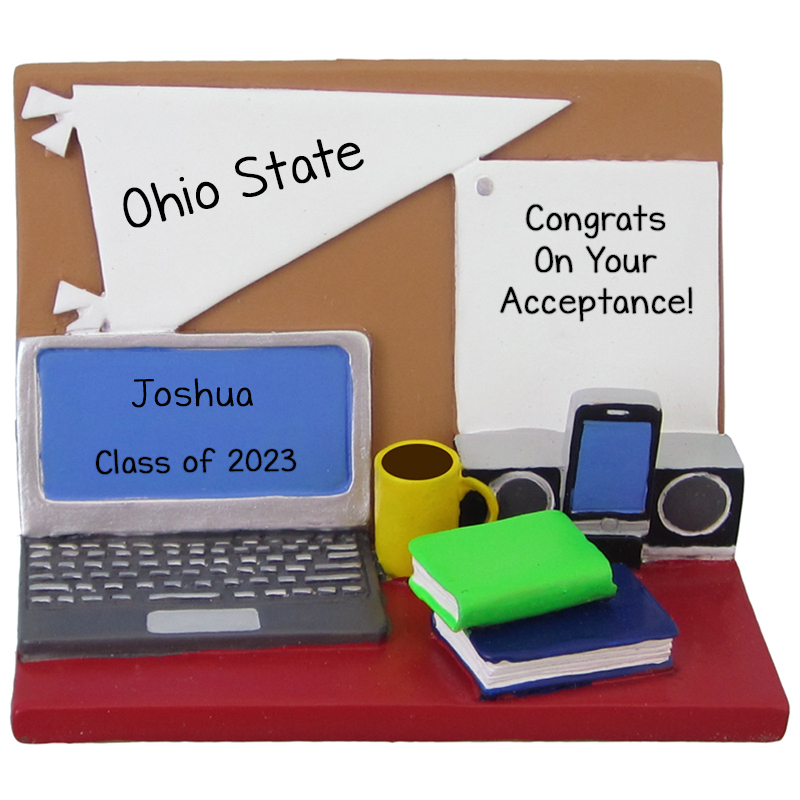 This ornament is the perfect gift to honor the newest college attendee in your life, so buy your keepsake today!